Over the years, admit it, we all acquire things. Things we purchased, the cool lamp from so and so, stuff roommates leave behind because they "don't want it." We'll the truth is we don't want it either! Typically I just put everything in the loft and forget about it. Well this year instead of saying "I'll get to that later" I decided it was time to clean it out. 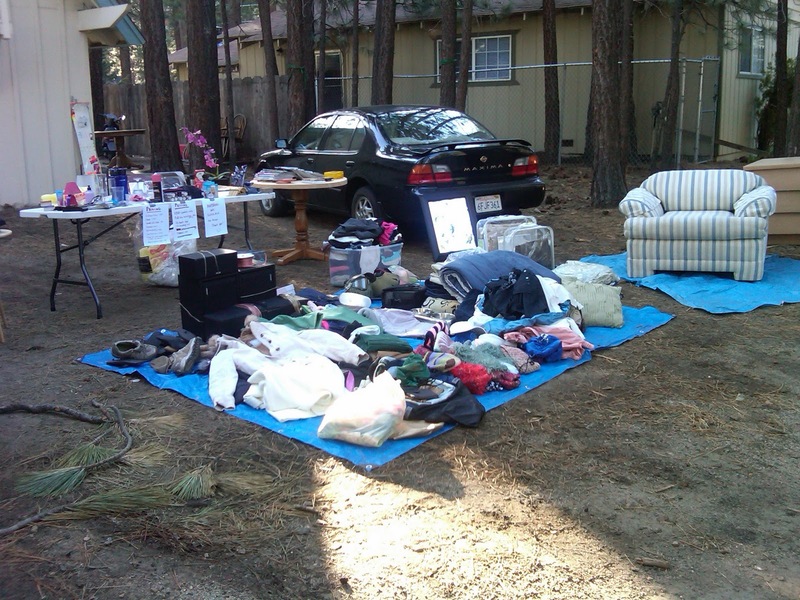 Last weekend I held my first garage sale in Tahoe. I've been known for my garage sales in Long Beach as I use to hold one every spring after collecting stuff from everyone in my family. Just by running an ad in the Penny Saver the garage sale would be non-stop from 7am until noon. Sometimes my neighbors or friends would join in the fun. I quickly learned Tahoe is a bit different. It was touch and go there for awhile, but in the end there was a decent turn out. However, next year I might just donate everything and skip the garage sale. Looking for a little motivation or not sure how to get your closest under control? Check out Edit you’ll find tips on how to get your life and space a little more organized. Margaret Williams might take spring cleaning to a whole new level, but reading her blog will help jump start the urge to clean whatever dreaded space you’ve been putting off. If you live in the Austin or New York area you can even hire her to help you get organized.